A few months ago, one of my very best friends asked me if I'd like to take a trip out West to explore the mountains and desert. A little background: we have been wanting to take a road trip since high school, but back then our parents, wisely, wouldn't allow us to go. Something about two 16 year old girls wandering the United States by themselves not being safe...Fast forward 14 years later and our dream finally came true. It was a whirlwind adventure consisting of a TON of driving (Chicago → Colorado → Arizona → Chicago), using an actual paper map, singing along to Disney songs, weird car tan lines, eating our weight in snacks and marveling at the most picturesque scenery. Our first stop was Colorado Springs where we hand fed giraffes in a mountainside zoo (be prepared to buy more lettuce than you ever have in your life), took a train ride through the Royal Gorge, drove 14,000 feet up in the air to Pikes Peak and celebrated a good friend's marriage. Next stop: Arizona via Monument Valley (that's picture #3 up there), Upper Antelope Canyon via this tour company (all the Instagram pictures could never do this justice - being there in real life will take your breath away), Grand Canyon and Horseshoe Bend (you'll have to walk about .5 mile in the sand to get to the overlook but we went around sunset so it wasn't as hot and the colors got so glowy as the sun sank lower and lower). If you're thinking of taking a Southwest trip, do it. There is something so peaceful/energizing/grounding about being out in the middle of nowhere, surrounded by rocks, sand, and open sky. It's the best kind of sensory overload that you don't soon forget. 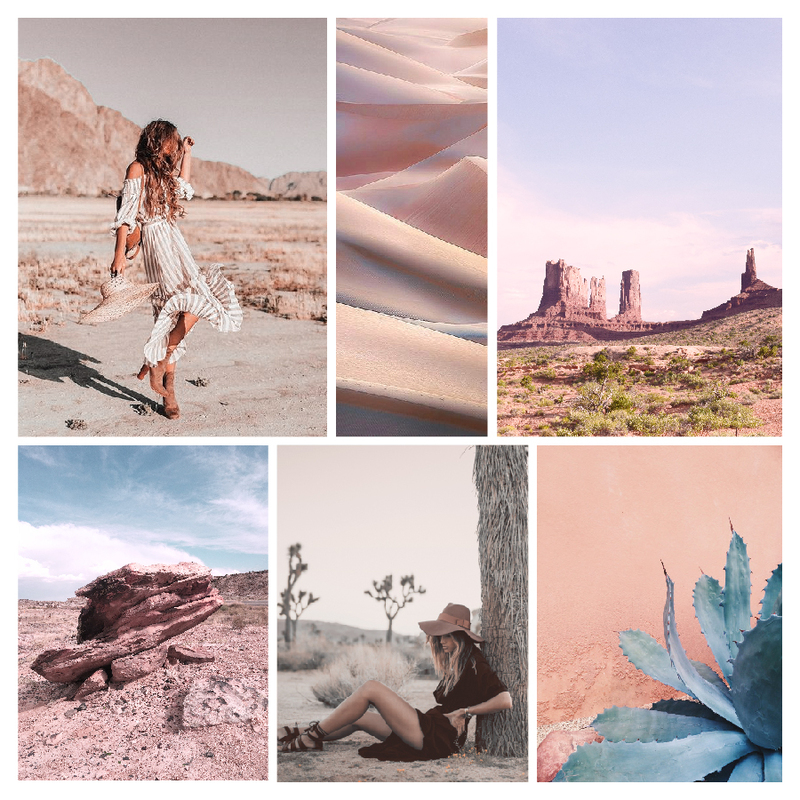 With all of this still fresh on my mind, it's basically a given that this month's mood board is all about the muted, sandy, #embracethewild vibes. What To Do With The Afternoon Slump?